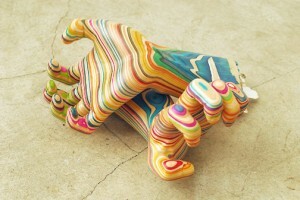 Skateboard sculptures – ¿¡ tjongolongo ?! Japanese artist Haroshi has found a new leash of life for old skateboards. He makes sculptures by stacking many layers of skateboard decks. 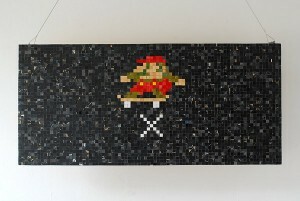 After stacking the skateboards are cut, shaven and polished into sculptures. This style is similar to they way traditional Japanese Great Buddhas are made. According to his website Haroshi became infatuated with skateboarding in his early teens, and is still a passionate skater at present. 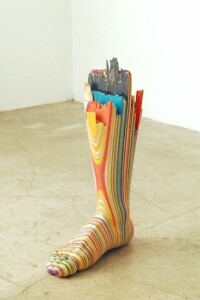 I personally always like creative art like this. As a marketing communications professional it makes me think about what I would also be able to do if I was working with a product rather than a service. If you think outside the box you can come up with some creative ideas to get your product noticed, or to sponsor artist etc. The Gummi Bear Chandelier and the Dragon made out of plastic kitchen utensils are some great examples. Finding an interesting new way to recycle your products could also make your company known as an environmental friendly company. Besides the marketing communications side of things, I also just like the artwork! 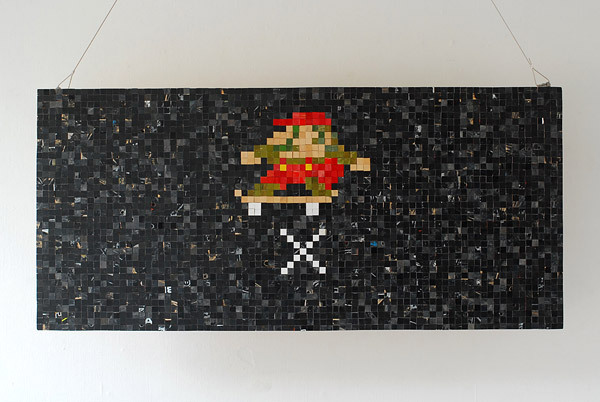 What would you like to try and make out of old used skateboards? Amazing advertisements: Ready for a new job?